TheSauceLA is having a HUGE sale on Awesometown e-liquid. First off…they have a list of select flavor profiles that cost $3.99 per 60mL bottle when you use the coupon code “VapeNow” at checkout. 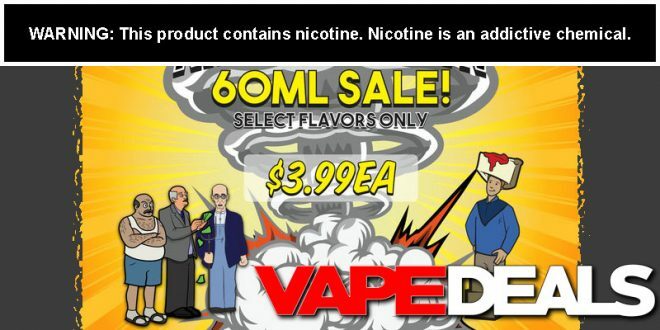 You can also use the same coupon code to get 65% off ALL of the other flavor profiles. Note that the discount does not apply to BOGO Deals, Sample Packs, or Hardware. You gotta act with the quickness though. This sale ends on the 17th.